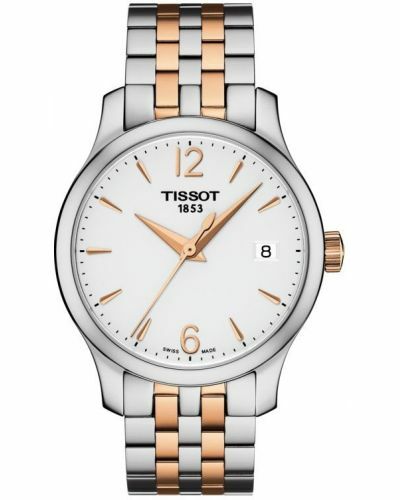 This elegant women's watch is brought to you by renowned Swiss watchmakers Tissot as part of their Traditions 5.5 collection and features a stunning rose gold plated stainless steel case with a mere thickness of only 5.2mm and a petite 25mm case diameter. 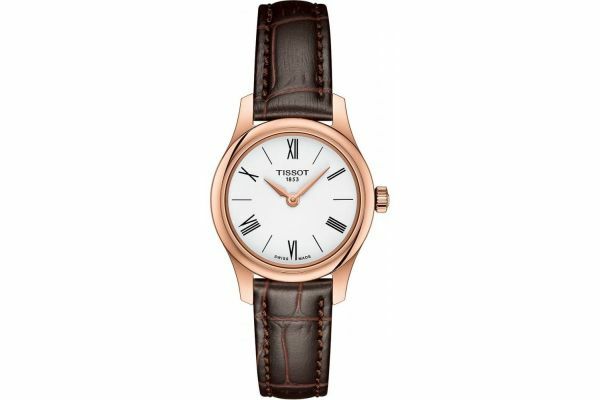 Housed beneath protective sapphire glass lies the guilloche white dial, black Roman Numeral hour markers and rose gold hour and miniuete hands. 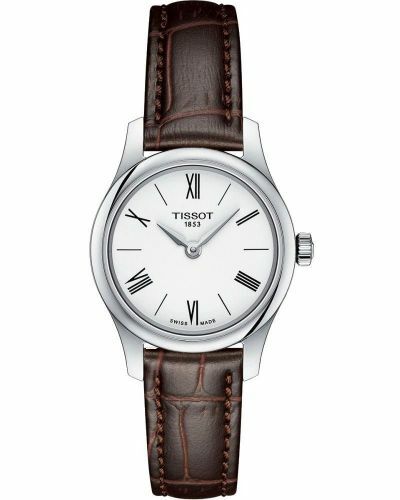 Set upon a genuine dark brown crocodile effect leather strap and fastened with a secure rose gold plated butterfly closure with push button release, the Traditions 5.5 is the perfect minimal timepeice. 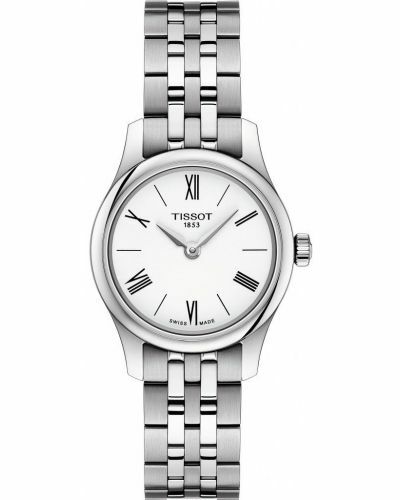 Powered by Quartz movement and water resistant up to 30 meters, this beautiful watch comes complete with a two year guarantee and official Tissot packaging.